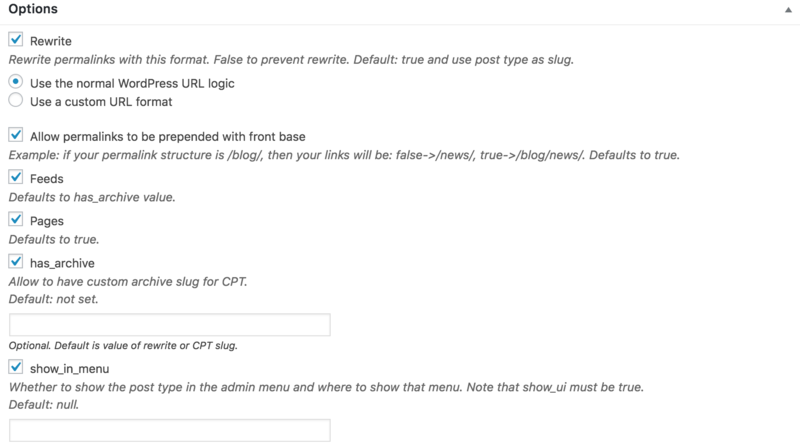 WordPress’ default post types are useful for creating blog posts, pages, attachments, and other standard elements of your website. However, if you’re looking to facilitate streamlined and efficient content creation for your business site, you may find the default post types somewhat restrictive. This is where WordPress custom post types come into play. You can use them to generate specific kinds of content that will better suit the needs of your company — such as product descriptions, testimonials, portfolios, and so on. What’s more, they are relatively easy for you or your staff to create and manage. In this article, we’ll take a closer look at exactly what a WordPress custom post type is. After that, we’ll discuss how you can implement this feature on your website for maximum effect. A WordPress post is an individual piece of content that you create through the dashboard. When you navigate to Posts > Add New, you will be presented with a specific interface for creating a blog post, which includes options for adding text and media, publishing the post, and more. Custom post types might be more accurately called custom content types, as they aren’t just for blogs. Either way, the term refers to any post type that is not included in WordPress by default. This means you can create more specific kinds of content, using the same WordPress editor. Custom post types can, therefore, make your website more efficient and easier to manage. By assigning your various departments post types with custom fields to fill in, you’ll save them time, eliminate guesswork, and improve task organization. What’s more, custom post types can make the structure of your site more conducive to conversions. For example, you could use them to display testimonials or product profiles on your home page. Since potential customers will often view your home page first, employing custom post types to showcase your latest offerings or most glowing testimonials is a smart way to increase the likelihood of conversions. Now that we’ve established the benefits of WordPress custom post types, let’s talk about how you can add them to your WordPress site. Fortunately, the process is quick, simple, and cost-effective. There are two main ways to add custom post types in WordPress. The method you employ will depend on the needs of your organization. If you need to roll out custom post types for your teams to start working on quickly, a plugin is your best bet. However, if you want a solution tailored to the more specific needs of your business, the manual approach may be a better fit. Let’s start by discussing the plugin method. There are lots of WordPress custom post type plugins to choose from. Most present a hassle-free way to configure meta boxes, user-defined fields, and other key components of your post types. Since they are user-friendly and require no coding, these plugins are excellent time savers that can be readily rolled out to your development team. It comes with an intuitive interface you can use to create fields, adjust visibility settings, and more. This plugin is compatible with virtually any WordPress theme, and even lets you add your own dashboard icon for your custom post types. The latter option is particularly useful if you want to add new functionality to a custom post type added by another plugin (for instance, a WooCommerce product). This plugin also offers migration capabilities, so you can easily transfer over custom post types you’ve already created. This well-supported plugin delivers an array of options for creating and styling custom post types. You can customize each post type’s permalink, configure whether or not they appear in searches, and more. Toolset Types also enables you to define the relationships between your custom post types. This lets you enhance the organization and navigability of your site, both of which are integral components of its conversion funnel). Now that we’ve covered some of the best plugins available for the task, let’s walk through how to actually create a WordPress custom post type. We’ll use the Toolset Types plugin to demonstrate the process, as it is simple to use while offering a lot of handy features. If you want to do this, Toolset Types offers a comprehensive guide about how to set parent and child post types for your website. That’s it! Using the many options offered by Toolset Types, you can give your development team the means to crank out custom content quickly and efficiently. Toolset Types also offers some handy user guides to help you configure post types to meet your exact needs. There’s no question that using plugins is the quickest way to create custom post types. However, if the plugin you’ve used is ever uninstalled (or becomes inactive), all the post types you’ve made will disappear. Plus, the data they contain will become difficult to access from the admin area. By creating your custom post types by hand, you’ll be able to make them more permanent. Plus, you won’t need to add an extra plugin to your site. Therefore, if you’re considering using custom post types extensively, it’s worth taking a look at the manual approach. By having members of your development team manually create post types, you can also style them in ways that plugins often don’t permit. For example, if you want your custom post types to integrate maps, micro interactions, or other features that are not included in plugins, putting your top coders on the task can help you create content types that are much more useful. The manual method of creating custom post types is a more technical process. What’s more, its complexity depends on how many custom fields and other elements you want to include. You’ll need to edit the code in your site’s functions.php file, which will register the new post type and add various ‘arguments’ (the options for what the post type will display). Fortunately, there are numerous online guides detailing the correct way to create custom post types using code. As we have seen, custom post types present an excellent way to streamline content production. If used efficiently, they can also play a role in your conversion funnel, as you can use them to better convey important information (such as through testimonials and product descriptions). Use a plugin such as Toolset Types. This will enable you and your team to create custom post types rapidly. Create your custom post types manually. This is more challenging, but results in secure and flexible content templates. Do you have any questions about creating and using custom post types? Let us know in the comments section! This post belongs to our WordPress for Publishers content hub with other posts, pages, and case studies. Explore our WordPress for Publishers content hub. Thanks for referencing our site, John! Toolset is a pretty powerful tool for structuring and organizing content that will scale with the site. Wow. I came here for a “how to make custom post type tutorial” and got a “how to use this plugin tutorial”. At least you didn’t write a “What is WordPress” and a “Why choose WordPress” section. Still… I feel betrayed. Lol! I kinda feel the same way too. I want the raw codes and explanation on what each part of the code means. Most sites are just giving you the codes to copy and paste. No one is telling us specifically what each line mean and what it does and why it is the way it is. @Godwin I would recommend checking out WordPress.org documentation. They explain each piece but it is a bit of reading.